Try a clay bar or mild compound. Save the Mgic Eraser for household duty. Don't use a magic eraser on paint, or any other surface easily scratched. Clay, and polish. Magic Eraser's are amazing for leather that's gone glossy (steering wheel) but the issue is that it doesn't last. RE leather; I use jewlery abrasive paper (wet). No kidd, on million dollar Nappa leather and all. #1200grit min. #2000 recommended if you can find some. Wow, I had no idea there was such a thing! Sure enough I googled "Clay bar" and got many hits. I also noticed a price range of 20-120 bucks, any recommendations? Oooohh if you haven't heard of clay bars you're in for a treat! Claying a car is essential before polishing it. Basically, it's a putty that, when lubricated with a detailing spray, you rub around your clean paintwork and it'll rip out all of the dirt from all the little places you can't see in the body work. I washed my car perfectly, enough to eat your dinner off it, and when I clayed it I had to throw the putty out - it was that dirty. After claying a car, the paint should feel like glass. Anyway, sorry for straying off topic - got excited to explain clay to someone haha. Never heard of using clay on leather - interesting that! 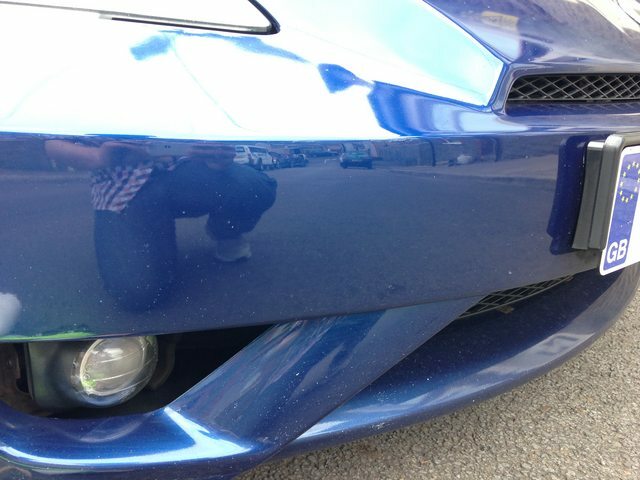 With getting scuffs off a bumper, you can do it with wet and dry sand paper with compound. Not as daunting as it sounds. And this is after a quick 10 minutes with wet and dry (2000 grit then 2500) and finishing with meguiars ultimate compound. All done by hand, no machines. If you want to do it this way, I'll explain properly how to do it. It works wonders. Last edited by geraintthomas; 07-01-2016 at 05:29 AM. 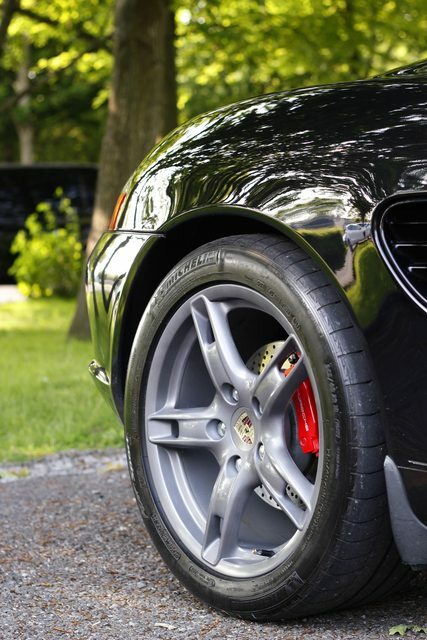 The Boxster clear coat when scratched leaves a visible mark. 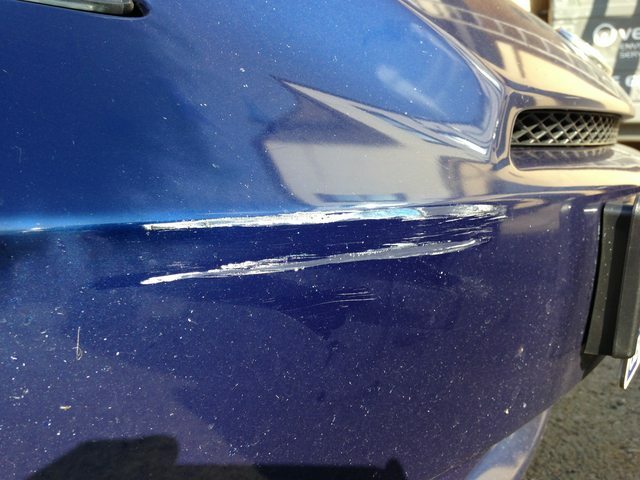 One simple way to get them out is a 3M scratch remover (others make similar products with similar names). If the scratch is deep enough to detect with a finger nail you may need a more determined approach such as that wet sandpaper. Wow, that is pretty incredible. Can you all of us in on the secret? Go to the local auto parts store and they will have clay bars in stock. No need to spend a a lot of money on it. $25 tops for the clay bar and lubricant. Good luck. The amazing-ness of the clay bar still fascinates me. I do this every time I clay bar, but the effect was incredibly noticeable the first time I did it. I clay barred one side of the hood, then gently dragged a microfiber towel over both sides. The resistance on the side I didn't do was so amazing to me. I know you're not supposed to drag a towel (or anything) across your finish without some fluid, but I can't help it.